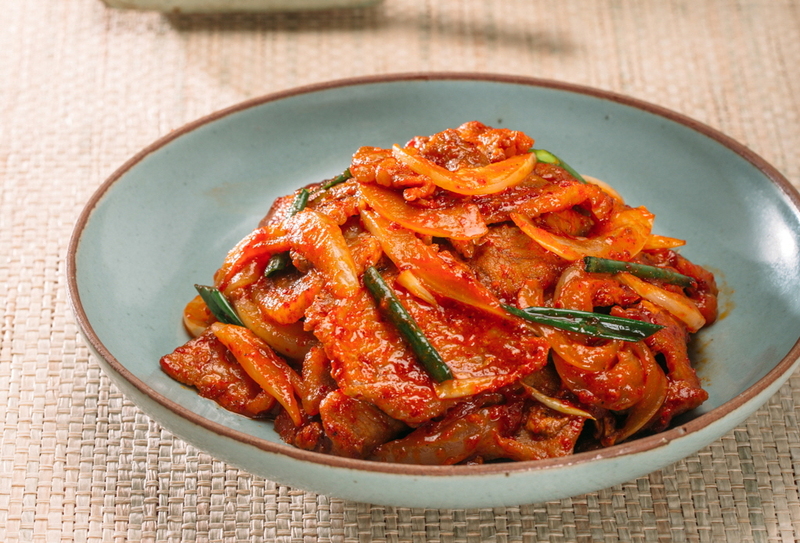 Jeyuk-bokkeum(Spicy stir-fried pork) is one of the popular Korean meat dishes. Seasoned with Gochujang sauce(Korean chili paste), the dish is filled with spicy, tangy, and sweet sauce and makes the harmony with juicy meat. 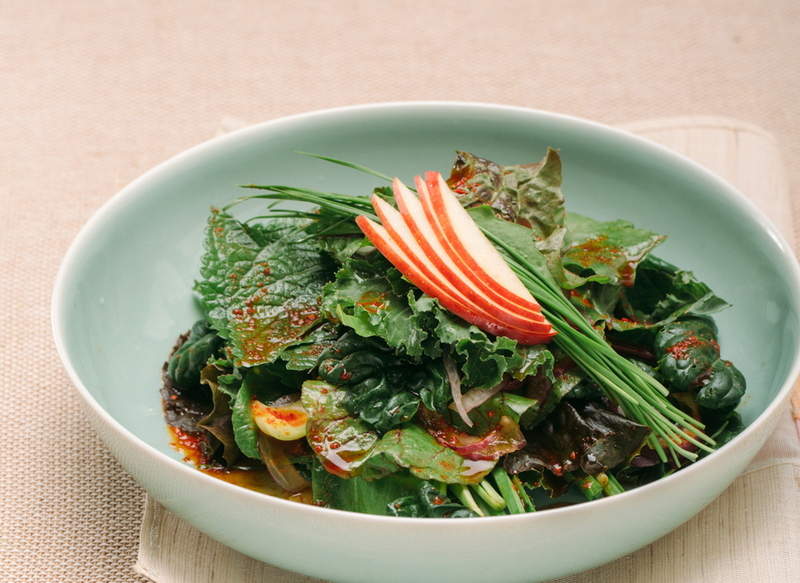 Geotjeori(Korean lettuce salad), with its sweet and sour dressing, makes the perfect pair with Jeyuk-bokkeum(Spicy stir-fried pork).